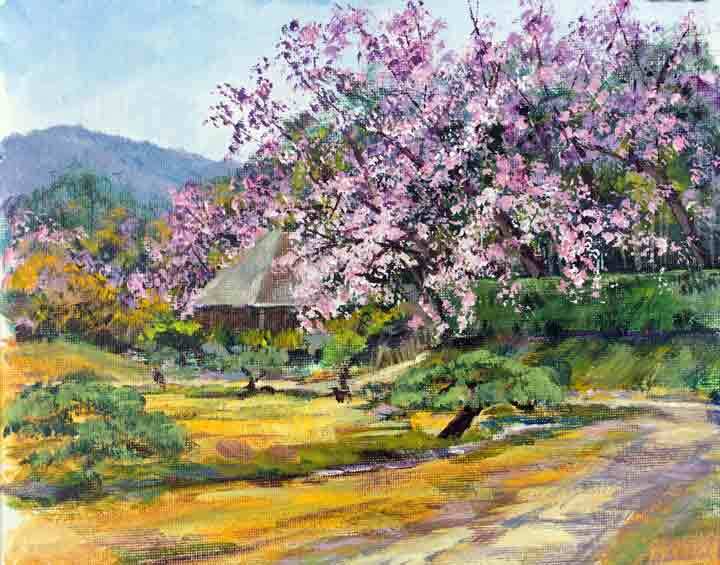 Painting in Japan – Just Stop and Paint It! Most of you know my son lives and works in Maniwa-shi, Japan, a town in the mountains of Southwest Japan about an hour from Okayama. I recently visited him again, for the third time. 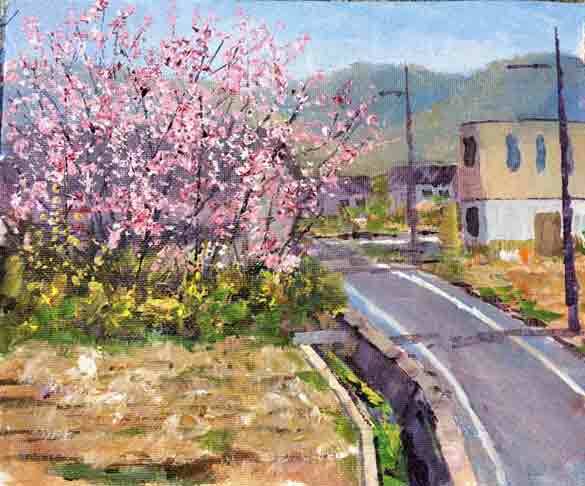 He had moved to a new location since my last visit, so I was anxious to explore around his apartment in rural Japan for painting practice! It also happened to be cherry blossom time, so was anxious to see that! My son’s new place is a little further out of the central town area, mainly surrounded by rice fields. 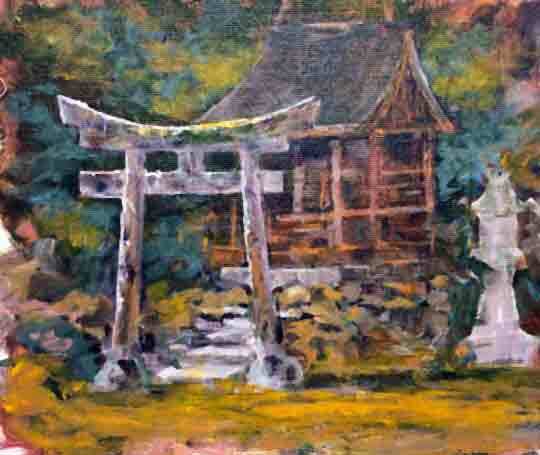 There is a Shinto Shrine close by, so I did two paintings there on different days. These are not the main shrine, but other structures in the courtyard. 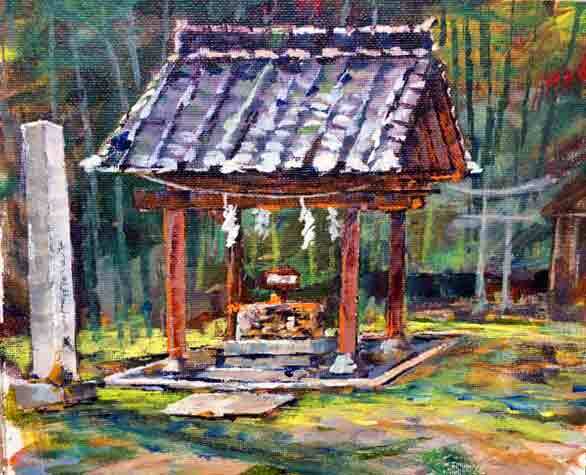 Although it was a relatively small shrine, I could have done quite a few paintings in the little nooks and crannies of this small area. 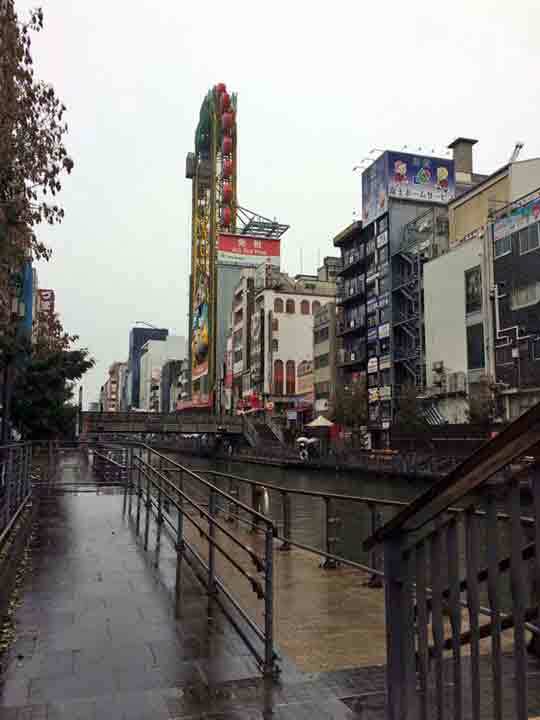 We decided to visit Osaka, the second largest city in Japan, and about a 4 hour bus ride away. Our hotel happened to be right by Dotonburi, the most famous district and party spot in Osaka. 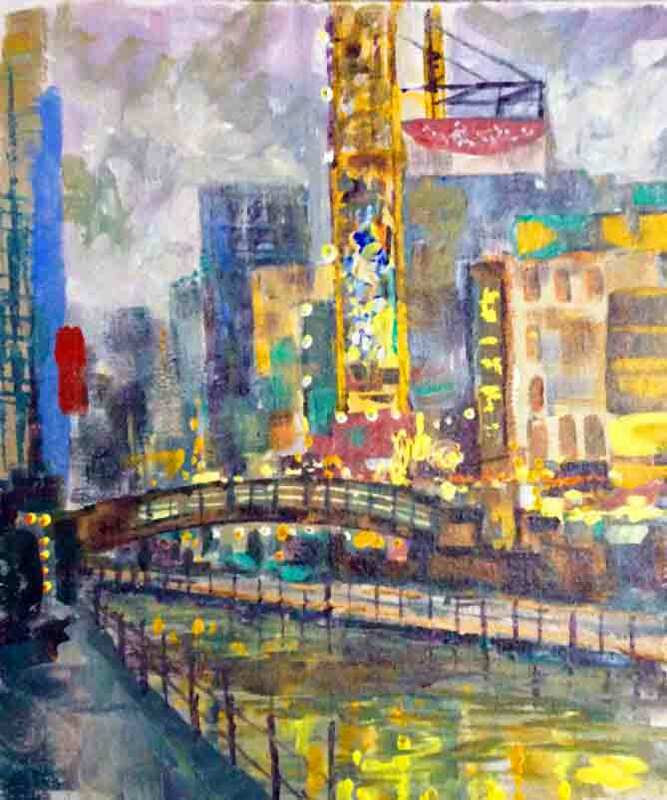 We kept quite busy around Osaka and a side trip to Kyoto, so I didn’t have time to paint except for one day. On that day while the others shopped, it was pouring rain, so found a place under a bridge on the river to paint. I also don’t usually do urban scenes, and it was a bit smelly as you know what people do under bridges in party areas…even in clean Japan! The piece was going nowhere, but as it got darker, the lights started coming on, and I put them in as my focal point which helped brighten things up. So far I was not really satisfied with any paintings done the the trip and we only had a few days left. We spent the last part of our trip in Okayama. One trip was to Kurashiki Bikan, an old historic district near Okayama. 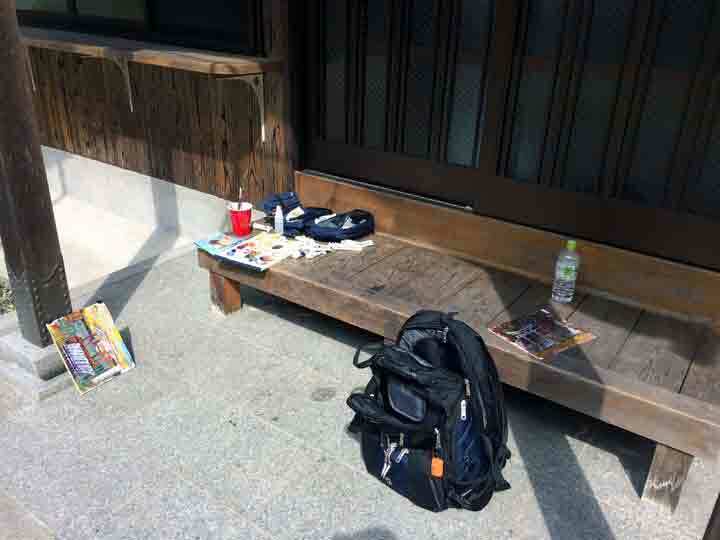 It was a scenic spot, and I started a painting while the others shopped and looked around. 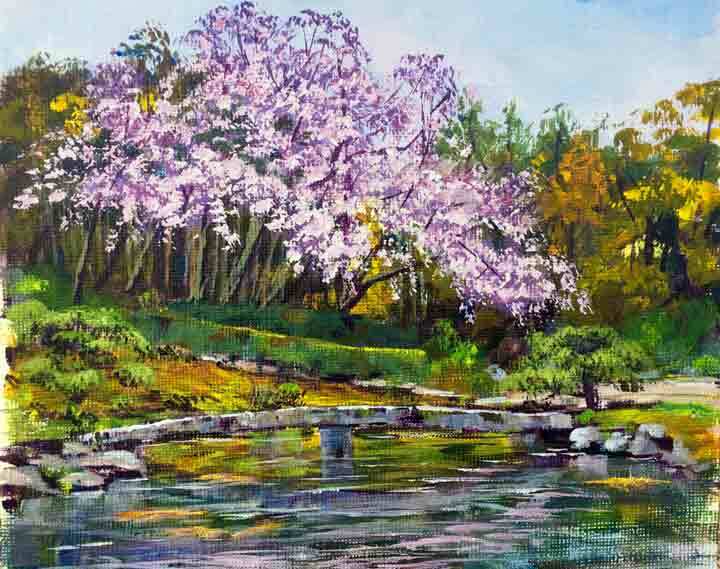 There were just a few blossoms, so did a painting of a bridge in the district. We got there late, and I didn’t have much time, so the painting only got about half done. One of the Three Great Gardens of Japan is called Korakuen (Koraku-en). Located in Okayama, Japan, it was built in 1700 by Ikeda Tsunamasa. We saved visiting Korakuen Garden until the last day so-as to catch the blossoms. Although they were not in full bloom, there was enough to paint, so did a painting in the morning, and one in the afternoon. The blossoms were not fully open yet so I painted the trees a little fuller with blossoms imagining what they will look like. The afternoon painting was a little more interesting scene and turned out pretty well, but could use some touchup later. Too soon we had to depart for home. I left all the paintings with my son in Japan so he could show them to friends and students.